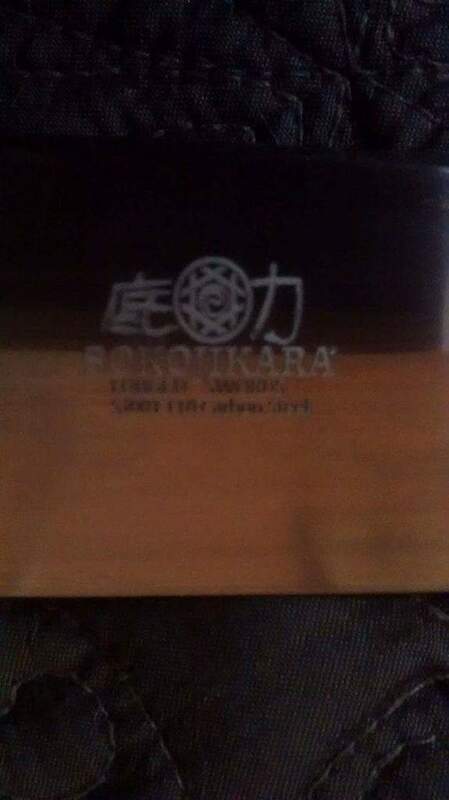 "It just doesn't get any better than the Sokojikara Clay Tempered Bamboo Katana. You are getting 28 1/3” of sheer beauty and power in a blade. 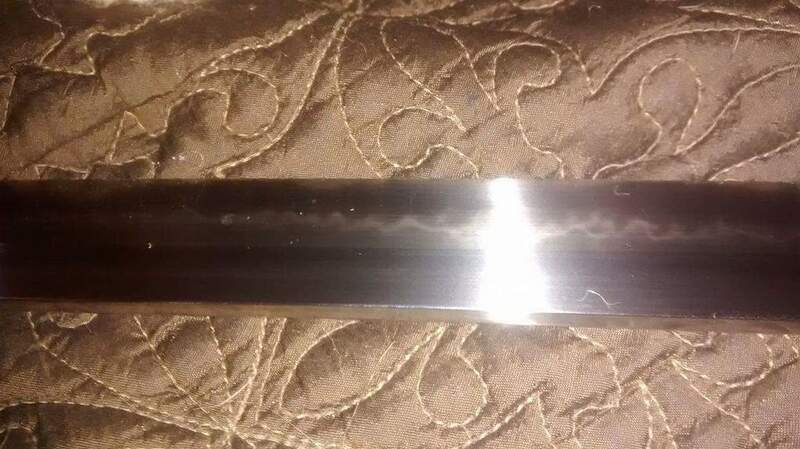 The process of clay tempering this T10 carbon steel blade gives it the strength and flexibility, which is the hallmark of a high-quality sword. Through this differential hardening process, clay is used to create the difference in temperature on the edge and the spine of the blade to achieve a blade that is a masterpiece of perfection. 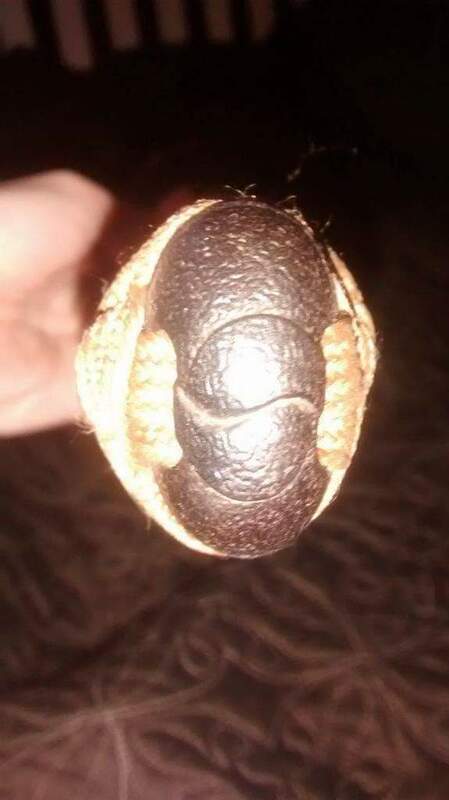 The handle is ray skin and cord-wrapped in a soft brown. The katana is further elevated by the keen attention to detail in the iron tsuba’s design and features a brass blade clip and menuki. 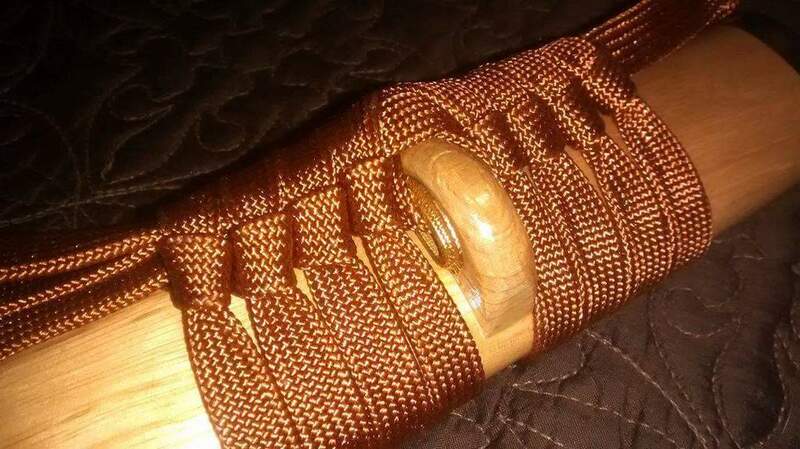 Its perfection is completed with the bamboo-colored wooden saya that sheaths the incredible blade. It is 41 1/3” in overall length." 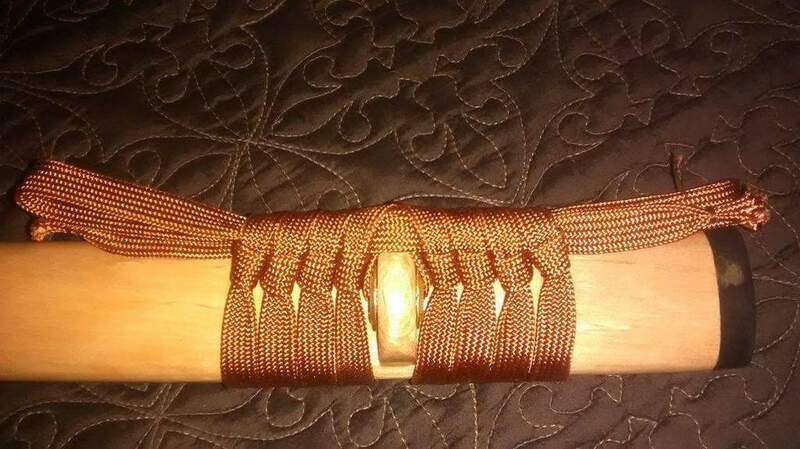 Blade width at habaki: 1 5/16"
Spine width at habaki: 5/16"
Spine width at tip: 1/4"
The handle is wrapped in real ray skin. 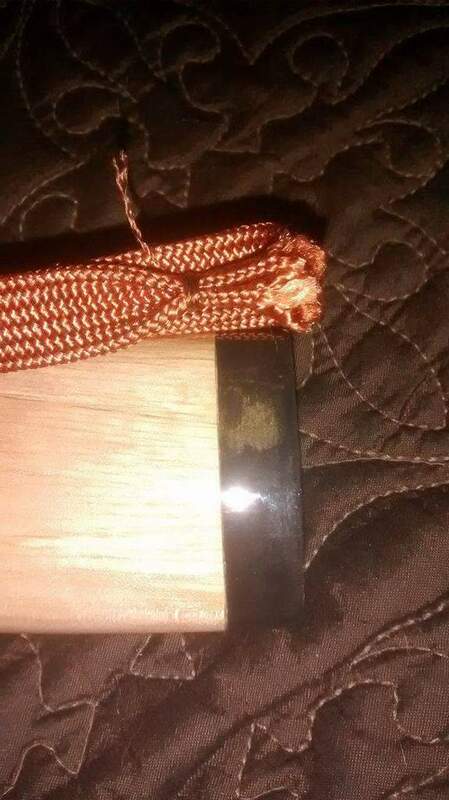 The tsuba, fuchi and koshira are all cast steel. The menuki and shoto-dome are brass. 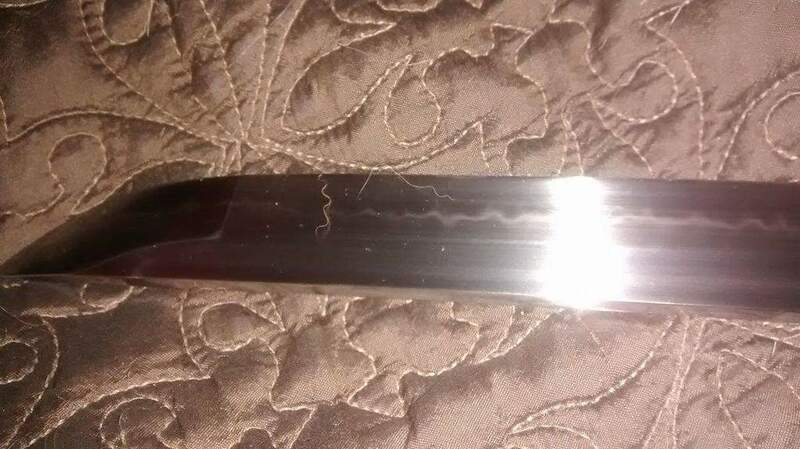 The blade has a real and beautiful hamon, but it is not as polished and pronounced as on other swords.I have not removed the tsuka to look at the tang, but the sword is double pegged, and judging by how far down the second mekugi is, I'd say it's substantial. The habaki fits VERY tight in the days. The koiguchi is of water buffalo horn, and the kurigata is of the same wood the saya is made from. 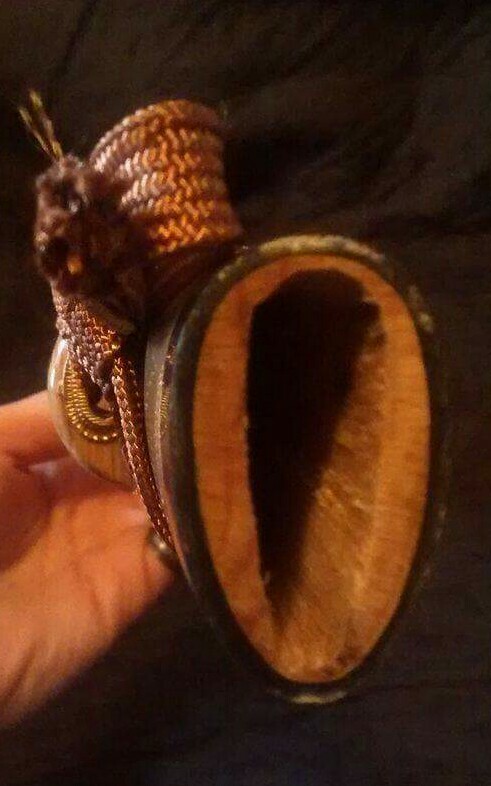 I'm not sure what the wood is, I would guess maple...? 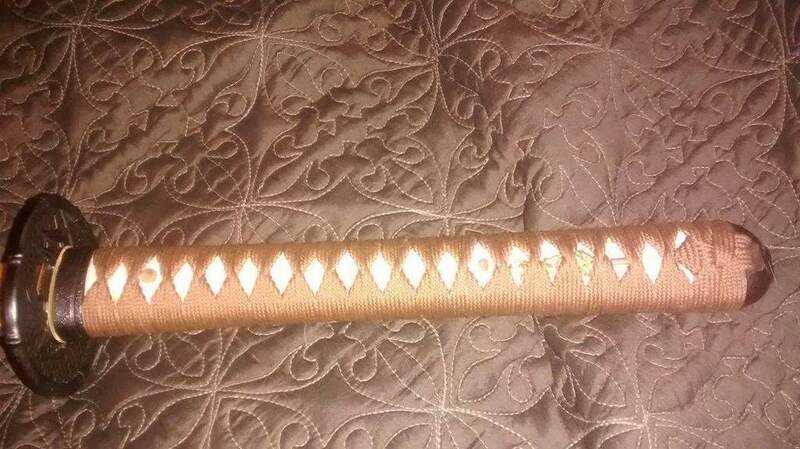 The sageo is a polyester material and of a proper length to secure the sword in your obi for iaido practice. The sword is a bit blade heavy, but I like the heft for cutting. I cut some bamboo with it, and it did pretty well (though, the bamboo was still very green... I hope to practice on some more dried pieces, and tatami mats in the near future.) 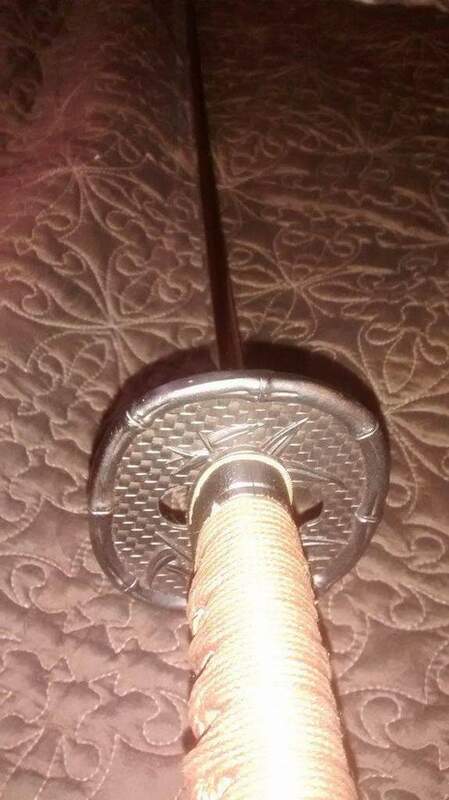 I purchased this sword for the purpose of using it in martial arts and am quite pleased with it. 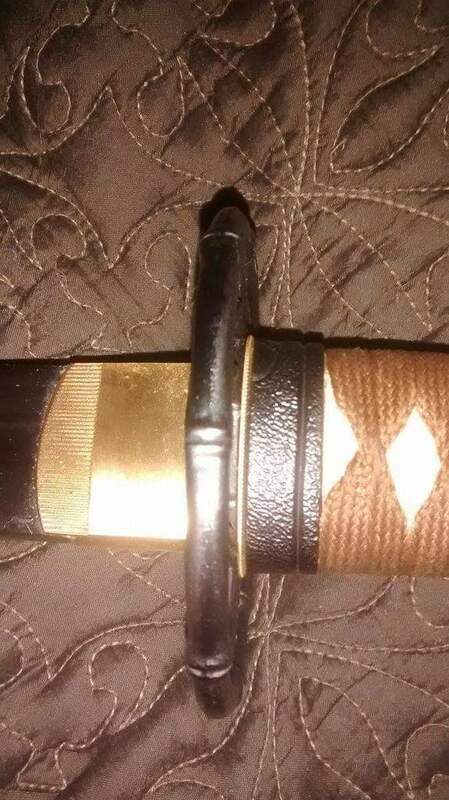 If someone is looking for a sword to practice iaido or tameshigiri, I would recommend this over other swords in its price range. 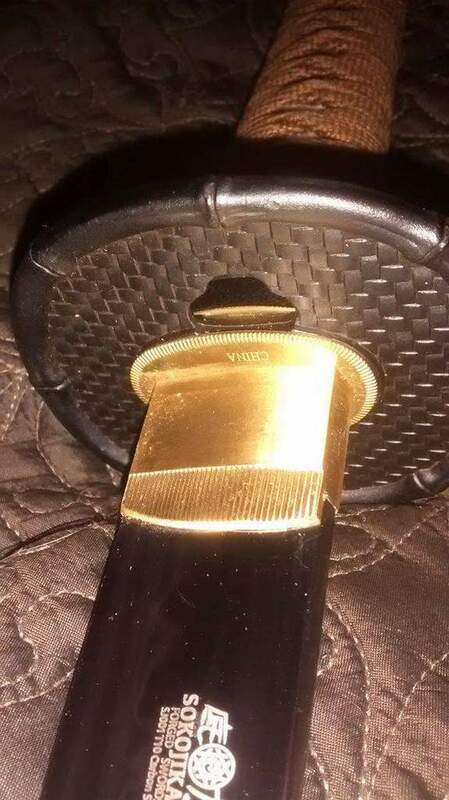 Chinese Nihontos can really run the range, but $299 is right where you can start seeing some real value for practical swords, provided you find the good makers. I have purchased their 'Turbulent Blue' model, and must agree with the quality of this piece. 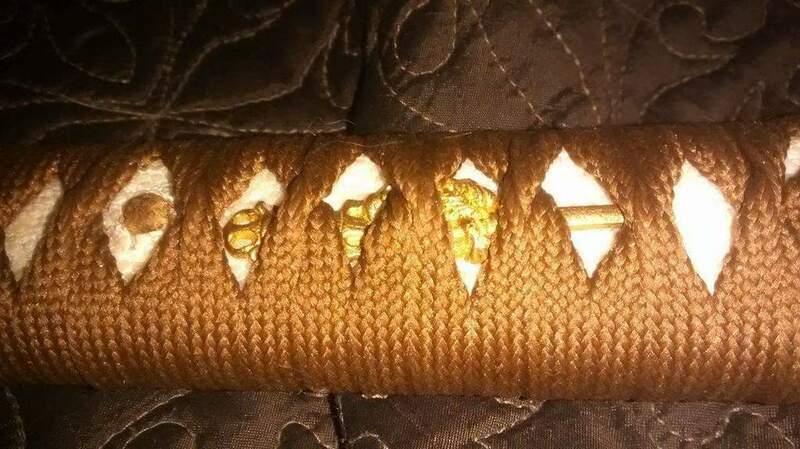 I removed the tsuka, and tang indeed goes down the length. My only issue was that it was not up to my expectations on it's sharpness. 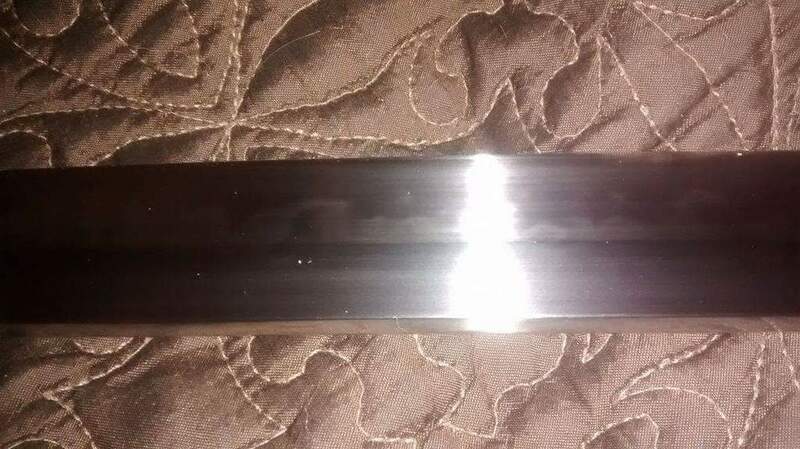 Though, IMO, if you are big into this kind of hobby, sharpening/polishing a fine blade should be no mystery to you, and if it is, you should remedy that. With all the vastness of tutorials, and videos, and products to maintain and polish a blade, it's a no brainer. I will be sharpening the edge to something I respect, and begin my testing of it then. Then I will know the true quality of this producer.